Choose the Savannah Quarters Discovery Tour. Enjoy a three-day, two-night tour to discover Savannah. Visit Savannah Quarters and experience the beauty of historic Savannah and the nearby beaches of Hilton Head and Tybee Islands. 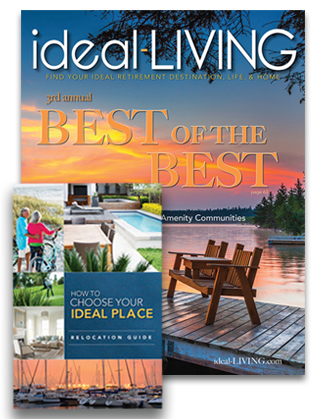 Exclusive for ideal-LIVING! Regularly priced at $295! *$195 package is based on current offering, seasonal rates may affect final pricing. Based on weekday rates; weekends may be higher. Accommodations are limited and restrictions apply. Prices subject to change. Void where prohibited. Please contact the Savannah Quarters staff for details. Offered on a first come, first served basis, limited availability. This is not intended to be and does not constitute an offer in any state or jurisdiction where prohibited by law. Equal Housing Opportunity. The only way to appreciate ALL that Savannah Quarters has to offer is to experience it for yourself. Schedule your visit by booking a Discovery Package with us. Seasonal rates and special opportunities are available on a first-come basis.